UltraISO for Windows XP - a powerful multi-functional application designed to work with virtual images. With it, you can edit the contents of virtual disks, change their initial format and conduct multi-level editing. The utility supports almost all popular types of images, including cue and img. Thanks to the optimization function, the program allows you to significantly reduce the disk space occupied. Using the integration tool, users can create a virtual drive for reading disks without the need to install additional drivers. 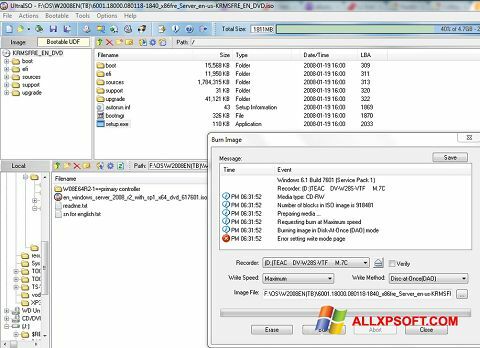 You can free download UltraISO official latest version for Windows XP in English.